As we discussed in above topics, computer has three sections. These are input, processing and output. It works through these three stages with the help of computer program. A computer program guide the computer system by using set of step by step instructions that instruct the computer what to do with input to generate the required output. Step 1: It accepts the input devices like keyboard, mouse, scanners etc. Step 2: It processes the data according to the input instructions. Processing include calculations, sorting, arranging the list of words or numbers and modification of documents. Step 3: It stores or holds data. It must hold or store data for further processing. Step 4: It produces output. The output is available in terms of information, it is available in the form of reports, graphs, tables, documents, and etc. It can be displayed on the visual unit or printed on paper. It is the first counting device, developed by Chinese and Egyptians, 2500 years ago. It performs mathematical concepts and arithmetical operations. It is a rectangular box, divided into two parts by mid bar , upper part is called heaven, consists of two beads and each bead equal to value 5 and lower part is is called earth, consists of five bead and each bead equal to value 1. While calculating, beads are brought near to mid bar. Another interesting invention is Napier's bones, a cleaver multiplication tool invented in 1614 by mathematical John Napier of Scotland. The bones are a set of vertical rectangular rods, each one divided in 10 squares. John Napier is also the inventor of logarithms, a concept used to change multiplication into addition. Napier's bones was very successful and was widely used in Europe until mid 1960's. It is mainly used for multiplication table. The Slide Rule is an analog device for performing mathematical computations. The first slide rule was created by British mathematician, William Oughtred in 1620. His device was based on the log arithmetic scale created by British astronomer, Edmund Gunter in 1620, Gunter's work, in turn, was based on the principal of logarithm set forth by Scottish mathematician John Napier in 1614. A simple slide rule consists of two graduated scales, one of which slips upon other. The scales are devised in such a way that suitable alignment of one scale against the other makes it possible to obtain products, quotients or their function by inspection. Blaise Pascal had a father who was an overworked and harassed tax commissioner. The young Pascal developed a mechanical calculator to help him with his work. Pascal started to build it in 1632 when he was 19 and three years later he had developed a machine called Pascaline. In this machine, numbers were entered by dialing a series of numbered wheels, and a series of toothed wheels. Each wheel is printed with the numbers from 0 to 9. When the first wheel made a completed turn from 0 to 9, it automatically caused the second wheel to advance to the next number and so on. It could add and subtract by the movement of wheels. The number of calculating capacity of Pascaline was 9, 99, 99, and 999. It could not be used for division and multiplication. Stepped Recknor is a calculating device developed by Gottrified Wilhem Von Leibnitz in 1671. It was modified to produce higher efficiency and was based on pascal's principle. The stepped Reckonor could multiply, add, subtract and even find square roots. 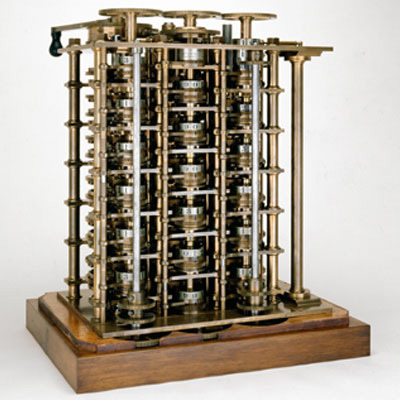 Charles Babbage developed this device in 1833. This machine used the binary digit concept. 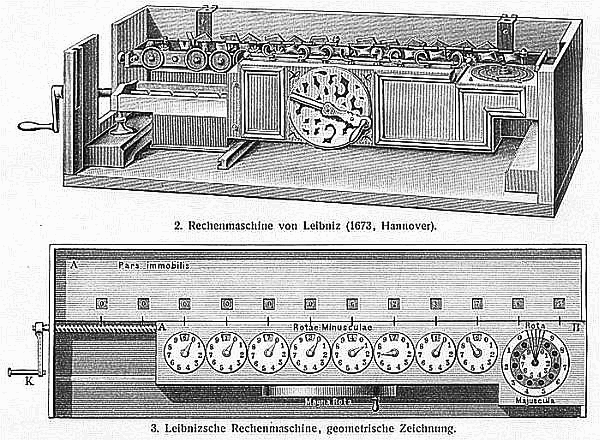 This machine was designed to solve up upto 20 decimal places but due to mechanical difficulties it was never completed. This device was also an automatic calculator. Lady Ada suggested using binary numbers instead of decimal number in Analytical Engine. Lady Ada also wrote a program to be used in Analytical Engine. She is also known as the "First Programmer"in the history of computer science because this was the first program ever written. The first person to use punched card practically is Dr. Herman Hollerith. Using the punched card, he developed the tabulating machine or census machine which proved to be very efficient. In 1896, he also established Tabulating Machine Company (TMC). he later founded the International Business Machine Company By merging it with other companies in 1933. 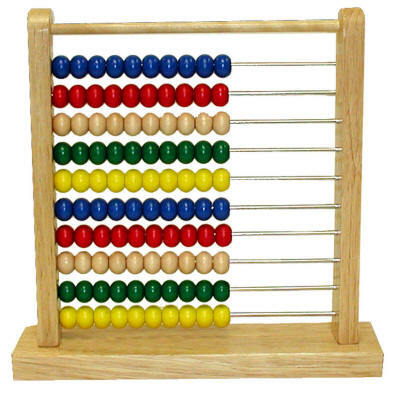 Abacus is the first counting device, developed by Chinese and Egyptians, 2500 years ago. 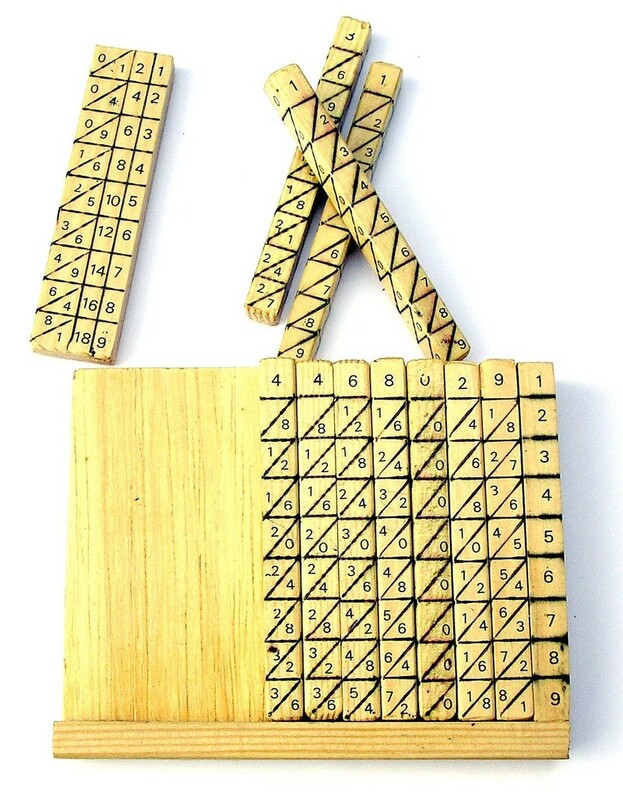 Napier's bones, a cleaver multiplication tool invented in 1614 by mathematical John Napier of Scotland. The Slide Rule is an analog device for performing mathematical computations. The young Pascal developed a mechanical calculator to help him with his work. Stepped Recknor is a calculating device developed by gottrified Wilhem Von Leibnitz in 1671. Charles Babbage is known as father of computer. Who is considered as the father of computer science? What are his inventions. English mathematician Charles Babbage is considered as the father of computer science. His inventions are Difference Engine and Analytical Engine. Why is Charles Babbage considered as the father of computer science? The concept of input, output, processing and storage used by Charles Babbage in his analytical engine became the basis for the evaluation of using bits in his machine. Since the dream of modern computers has come true only due to the Babbage's innovative idea, he is considered as father of computer science. Write the name of parts and their related functions of Analytical Engine developed by Charles Babbage. Who is known as first computer programmer? Why? Lady Augusta Ada Lovelace is known as first computer programmer because she was the person who suggested Charles Babbage to use binary number system in his Analytical engine and operated it for the first time. Write brief history of computer in Nepal. Although Nepal entered in the history of computing and computer lately. The real and formal use of computing in Nepal is started from the census of 2018 B.S. Therefore, the history of computer in Nepal can be mentioned in the following points. It took nearly 6.5 months for the census of Nepal 2018 B.S. using the hand calculator facet. His Majesty's Government brought the second generation computer IBM 1401 from USA on rent for the census of 2028 B.S that took nearly 1 year and 7 months to complete the census. In 2031 B.S His Majesty's Government established Yantrik Saririni Karan Kendra or Electronic Data processing center later named as National Computer Center. In 2038 B.S the fourth generation computer ICL 2950/10 was brought form UK for the census. After 2040 various computer training centers were established . In 2048 Computer Science is included as optional Subject in school level course and later +2 levels, Bachelor level and Master level respectively. In 2057 B.S the IT policy of Nepal and 2061 B.S. Cyber Law Nepal is introduced. Write the contribution of the following persons in the history of computers. 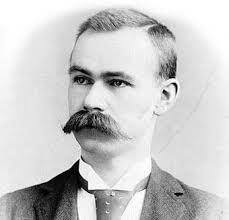 Herman Hollerith was an American statistician invented Tabulating machine using punched cards for the counting purpose of mass data which was based on binary system. He was also the founder of IBM which was based on binary system. He was also the founder of IBM which is at present the world's largest computer manufacturing company. So, he has given a great contribution in the history of computer. Blaise Pascal a Grench mathematical invented the first mechanical calculator with gears and wheels called pascaline. This device could do the addition and subtraction than any other device invented that time. So, his contribution will be always remembered. Napier s bones, was invented in ________. 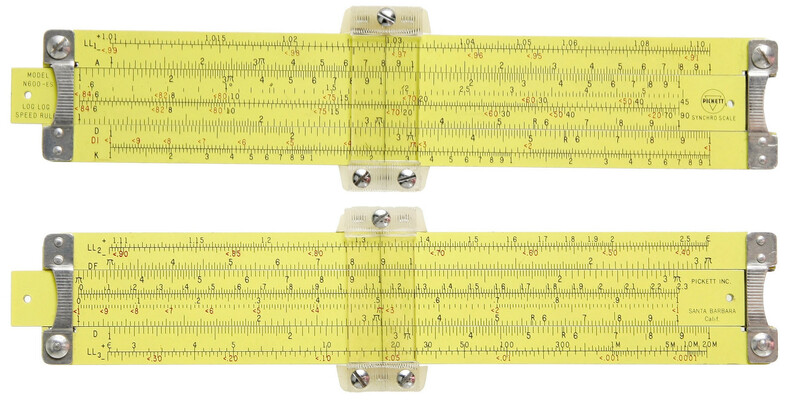 Slide rule was invented by ________. Who is father of computer? What is the fullform of TMC? Device developed by John Napier. Device developed by Charles Babbage. First calculating device developed by Chinese people. 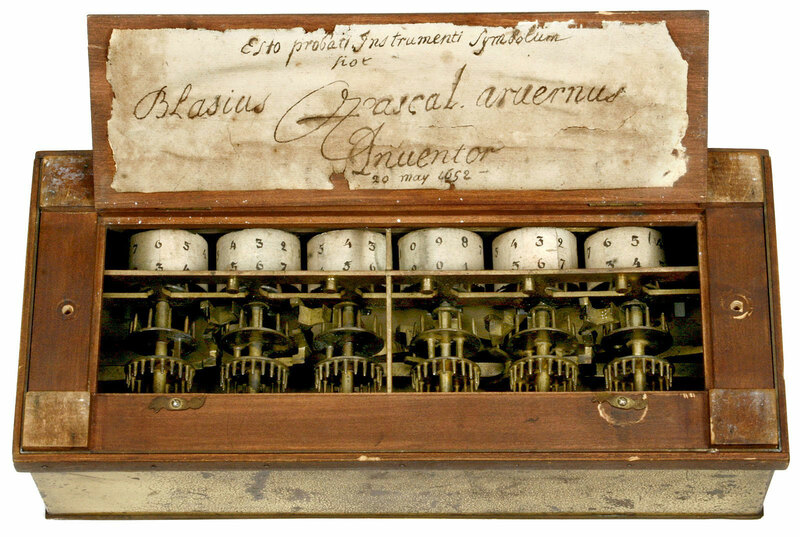 Who invented Pascaline or Pascal's Calculating Machine? Analytical Engine was developed by _________. Abacus has two sections ______and ______. One head in heaven equals ______ units. One head in earth equals _________ units. Napier bone was used for ____________. Analytical Engine was designed to calculate upto ________ decimal places. Which was the first computer brought in Nepal? what is the full form of VLSI? Any Questions on 'History of Computer '?